Our mission is to deliver the safest and kindest care for our women and their families. This is an exciting opportunity to come and make a difference to the women and their families we care for. We would like to invite you to join our highly motivated, but friendly Midwifery team in Shropshire, where a commitment to providing high quality, woman-centered care is our passion. This is an exciting yet challenging time for the maternity services in Shropshire, as we embrace a period of improvement and development. We will continue to work in partnership with our women, the Local Maternity System (LMS) and our CCG’s to develop our future model of care. This is a fantastic opportunity for you to be involved with these new developments at the outset, as well as those wishing to further develop their clinical skills and gain valuable experience working in all areas of the maternity service. This is your chance to be part of a transforming organisation. We aim to ensure all women have access to the optimal birth environment in accordance with their choice and in line with evidence based practice. 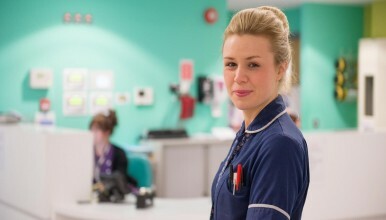 We have one main Consultant Unit working in a modern and well equipped facility and an alongside Midwife led unit based at The Princess Royal Hospital, Telford. We have a newly refurbished MLU at The Royal Shrewsbury Hospital and three other MLU’s currently open to outpatient activity. In total our birth numbers average 4,700 per year. We are forward thinking with motivated staff who strive to improve the quality of the service that we offer to our women, their babies and their families. We have full Baby Friendly accreditation, CQC rating of ‘good’ for caring, but still with much work to do and a commitment to change our overall rating to outstanding. We will provide professional development opportunities for all levels of staff. We are therefore inviting self-motivated, dynamic and professional midwives with excellent communication and interpersonal skills to join our proactive, professional maternity team. All posts will include shift working (including night duty) and on call duty. The successful applicants will receive a comprehensive orientation programme and are assured that they will receive appropriate support.